Would a mill lining with fewer parts help you increase uptime? In the world of modern-day mining, two considerations are always uppermost in company boardrooms. The safety of employees is the greatest priority, while the need to be competitive in increasingly tightening business conditions comes a very close second. Miners analyze every aspect of their operations in the minutest detail in search of the marginal gains necessary to improve efficiencies and boost bottom lines. A significant win in either of the two key areas with minimal cost implications can be regarded as a major windfall. 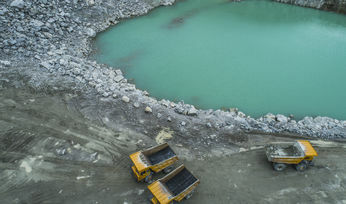 Tharisa Mine, a South African mining operation, has been able to achieve both outcomes simultaneously by adopting a step change in mineral processing technology. 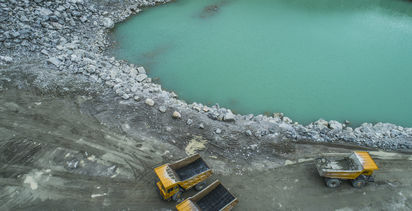 Tharisa Mine, that has over the past decade enjoyed spectacular growth in its platinum group metals business, had a concern over a major downtime event that occurred on average every nine months. This involved the replacement of linings in its primary ball mill, a process that took around 48 hours to accomplish. As the mill, like many others of its type, is capable of processing 250 tons of ore an hour 24/7, this amounted to a significant disruption in production. 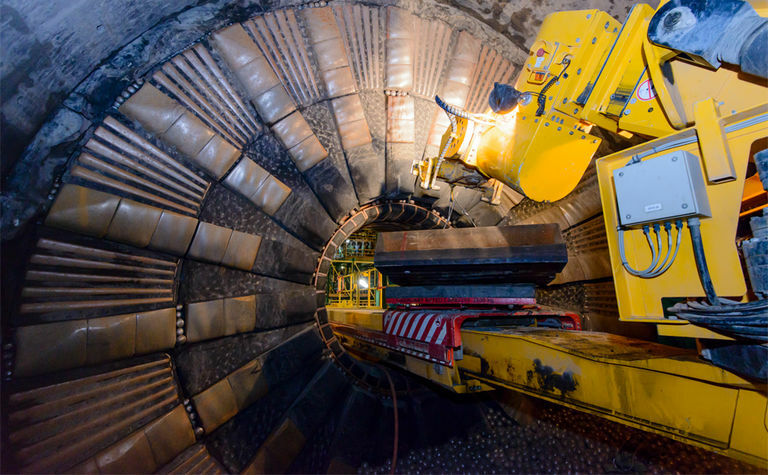 Metso, which maintains close ties with Tharisa, believed that a drastic reduction in downtime could be achieved if the mine was to adopt its Megaliner™ mill lining concept. The Megaliner™ was developed by Metso as a practical means of reducing the inevitable downtime that occurs during liner replacement. Conventional practice involves installing many pieces using bolts that need to be inserted from the inside of the mill. This process takes quite a lot of time and involves potentially hazardous work for the liner replacement crew. The Megaliner design, however, uses fewer and larger parts and has a unique attachment system. This dramatically improves safety and speeds up the change-out process. Metso regional product support manager Duane Mathers describes how the process was handled at Tharisa. 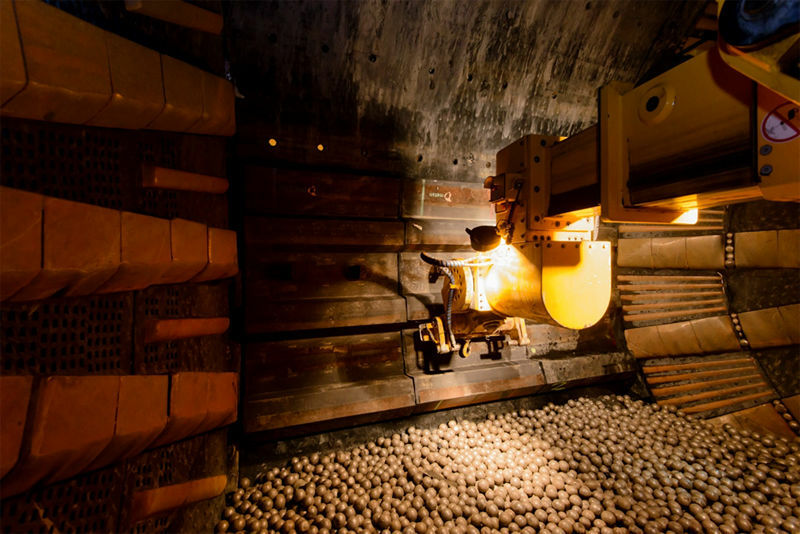 "The mill was originally equipped with 180 liners that had to be removed individually, which was a very time-consuming process. Replacing them with Megaliner, however, was a different story. Thanks to the simplicity of the design, we required just 30 modules to reline the mill interior," says Duane. 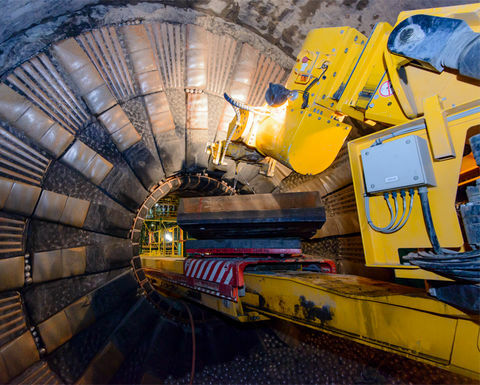 Despite a few first-time niggles, the process took just 38 hours, reducing planned downtime by no less than 10 hours. According to Duane, this can be improved still further. "A factor that extended the process was the removal of the existing 180 liners by hand. In the future, we will only have to replace 30 units, which are easy to remove thanks to the design. We expect that this will bring the total time taken to less than 24 hours, reducing downtime by around 50% at the next reline." Not only is the Megaliner concept good news for the bottom lines of mill operators, it also means a significant improvement in operator safety, according to Metso mill lining support specialist Marcel Bode. "The bolts used to attach the liners are secured from the outside of the mill, a positive factor towards worker safety. This eliminates the need to have people in the ‘danger-zone' inside the mill. The liner handler operator can put the liners in place without assistance from other workers. In addition, Metso Liner Positioning System is used to provide the operator remote guidance during the process with the help of cameras, which further improves safety and speeds up installations", says Marcel. While Megaliner is a relatively new Metso development, it has already proved itself under the most trying of conditions. It was specifically designed for the mills operated by the Boliden-owned Aitik mine, Europe's largest open cast copper mine situated in northern Sweden. Success in this challenging operation has led to its use extending to major mill sites all over the world and its application is by no means restricted to Metso-produced grinding mills. Tharisa is the first South African mine to adopt the Megaliner concept, something that Duane believes is due to the relationship that has developed between the two companies. "Tharisa likes the fact that we really do our homework, especially in the early days of a project when we put ourselves into the customer's shoes and are able to supply the quality and depth of information needed for them to make sound business decisions. After sales service is also a major priority for us. We do process and wear monitoring which help us fine-tune the design", he says. "Being first in the field to embrace a major technical innovation fits well with Tharisa's business philosophy and once the decision had been made, we enjoyed their whole-hearted support during the entirety of the project. From the customer's perspective, the Megaliner presents a tried and tested improvement in technology, by providing an accessible and credible competitive advantage," Mathers concludes. David Foord, Plant Manager from Tharisa mine appreciates the work done in furthering safety and production improvements at the mine: "At Tharisa we continuously seek for opportunities to improve in every area. Metso has shared the Megaliner product with us that resulted in improvement in the safety of our personnel and an increase in production. Also, in consultation with Tharisa, Metso has been proactive to make design changes of the Megaliner that will yield in further safety and production improvements and this attribute is the cornerstone in the relationship between Tharisa and Metso." Metso is a world leading industrial company serving the mining, aggregates, recycling, oil, gas, pulp, paper and process industries. We help our customers improve their operational efficiency, reduce risks and increase profitability by using our unique knowledge, experienced people and innovative solutions to build new, sustainable ways of growing together. Would a rubber truck lining help you save on costs?